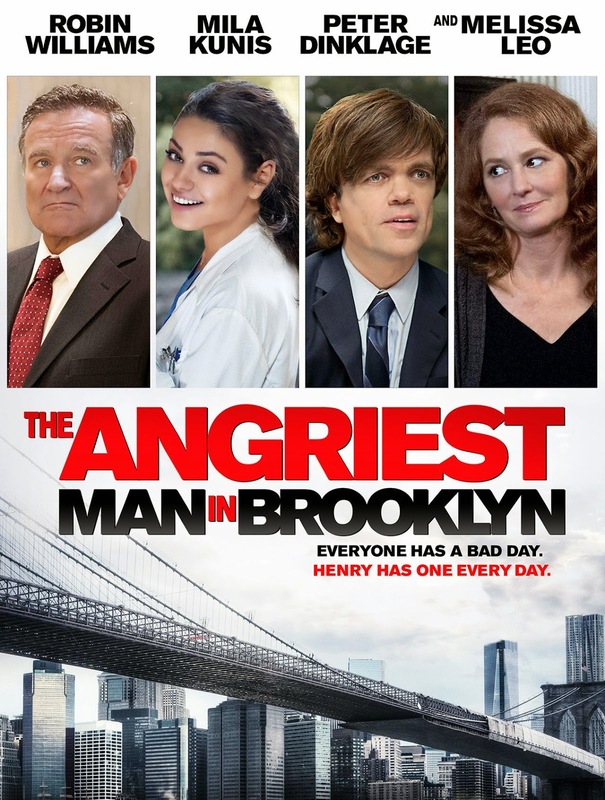 The Angriest Man in Brooklyn is a movie that has very high expectations mainly because of the cast involved. Plus the story of an angry man changing his way is always a compelling one, one of the reasons why we love A Christmas Carol is it not? Apart from the execution which is flawed at best and requires you to leaps of faith when it comes to time and logic this film has it's heart in the right place. It calls attention to themes and topics and tries to raise awareness that in this case anger is coming from somewhere and that one should pause and take a step back to see what it is and then deal with it accordingly. Everything is in service of this and we follow Henry Altmann (Robin Williams) dealing with the news he only has 90 minutes to live. I must admit I expected more and better jokes but I am guessing that even with the far fetched premise some things needed to be played more subtle and closer to reality. The film moves in a very fast pace and detracts a little from characters interacting with each other on a deeper level. Still I understand that this was done to implement a sense of urgency for the character and therefore very effective overall. A nice little comedy!